A passion I have in addition to paint on glass is sculpting. 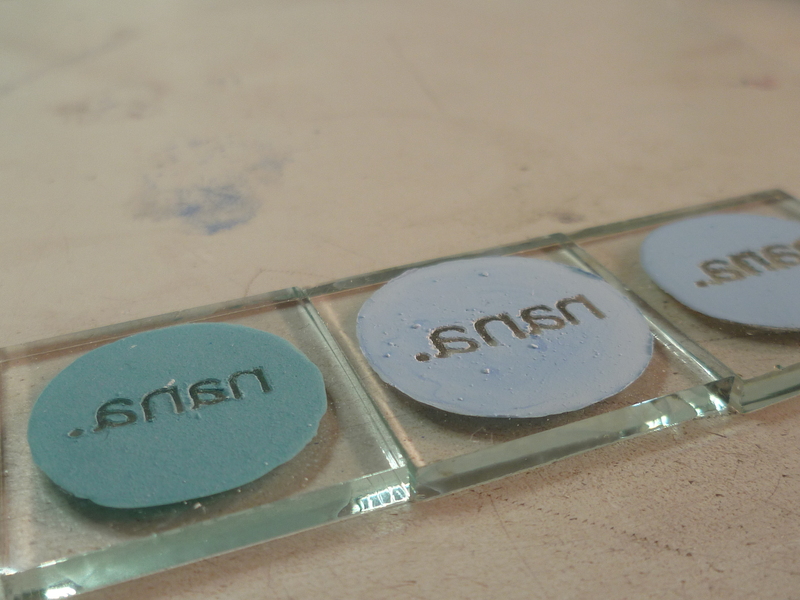 I have found that with the soldering iron I can get instant results and the working process is very intuitive. I love that! The idea of my kinetic pendant series comes from a customer requesting to have a small piece of a meteorite set as a pendant. The idea I got was to create a cage so that I would not have to modify the rock. It would lie loose inside of a cage and move as the pendant moved. This pendant never became a reality but my brain was allready fed with an idea so I continued working on this concept. I liked the idea of moving stones, so continuing on that line I thought maybe stones threaded on a metal wire could be interesting. I know there’s a lot of persons who like to fiddle with something while they talk, watch TV or do other things that doesn’t occupy their hands. I wanted to create a pendant for them that could be beautiful and playful at the same time. This idea have resulted a cage pendant with a wire in the middle where I thread a few stones that can slide up and down as you move the pendant. 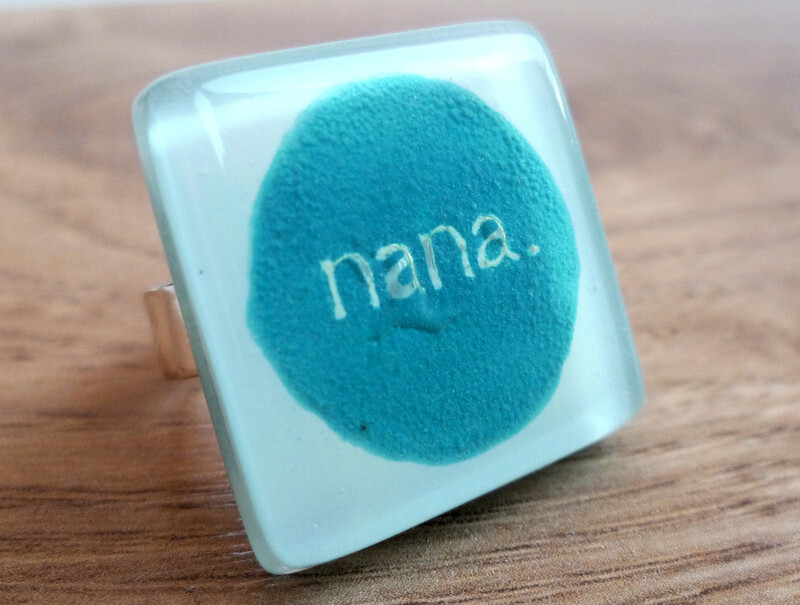 It hangs from a long chain so it’s easy to hold in the hand in a relaxed and natural way. I make them with different gemstones as amethyst, red and orange coral, rose quartz and more. I’ve been working on this design for a while, and feel excited to finally have it listed in my etsy shop. I love the nature myself so it’s kind of natural that my inspiration comes from there in many of my pieces. 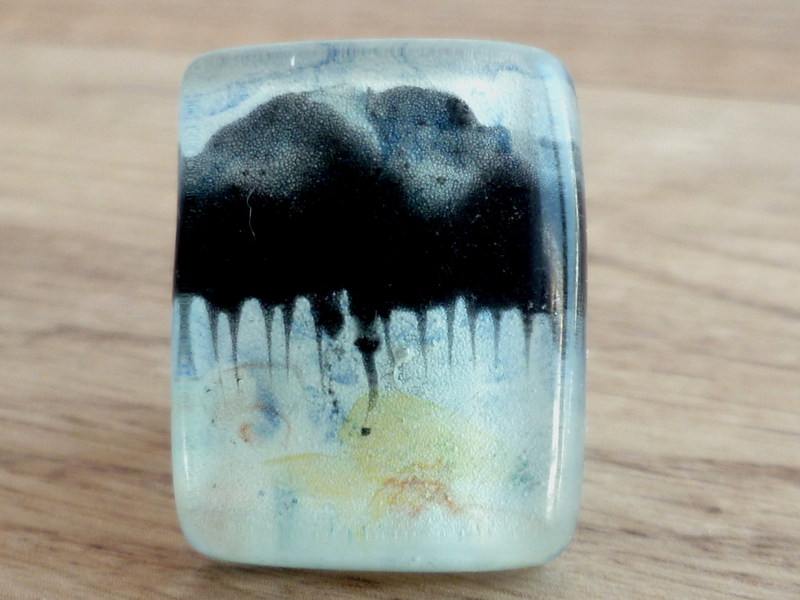 When I started designing this pendant, I wanted to make a glass cabochon with the shape of a rain drop. The rain drop was my starting point. 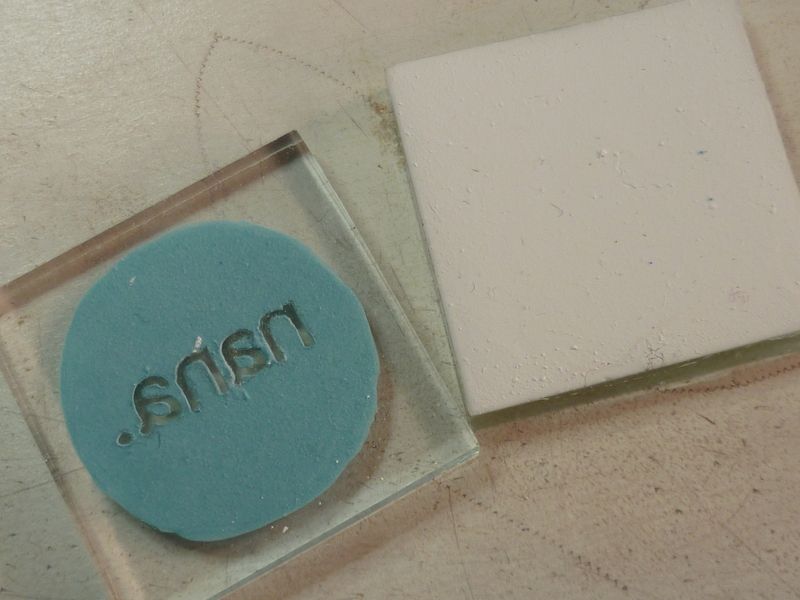 The way the cabochon is made also has to do with drops; the green shades are made dripping green enamel into the wet white enamel so the green expands nicely and halfly mix into the white. 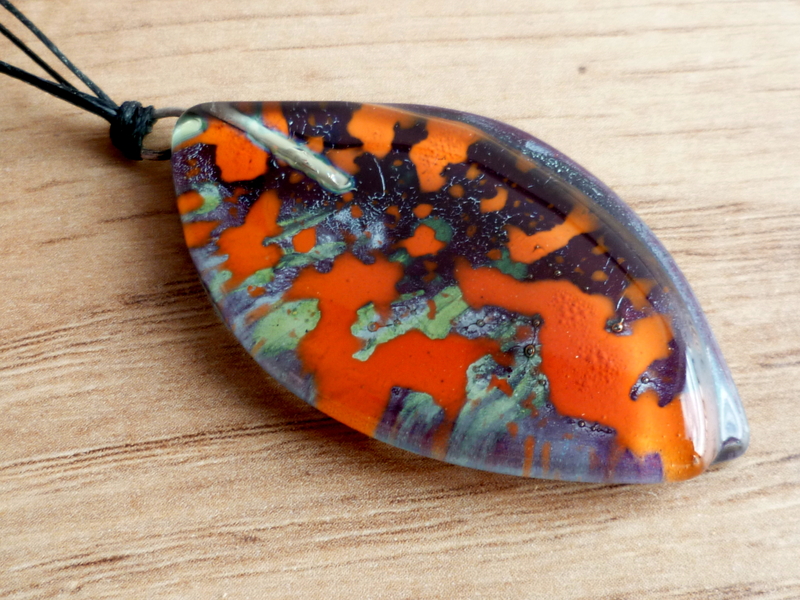 I wanted to make a big pendant, to be worn over a top or a jumper perfect for cooler weather, but I didn’t want it to be too heavy. The idea of letting the drop fall from a cloud makes the drop look more like a rain drop and not just any drop, so it was clear that I needed a cloud. After a lot of drawing and thinking and more drawing the final result became what you can see in the image below. Since I acquired a solder iron some months ago I have fallen in love with that tool. I love how it allows working in a spontaneous way. The melted solder can almost be sculpted to three-dimensional shapes and then if slightly exceeding the heat everything is gone. It’s quite compelling just learing how it works in my hands. 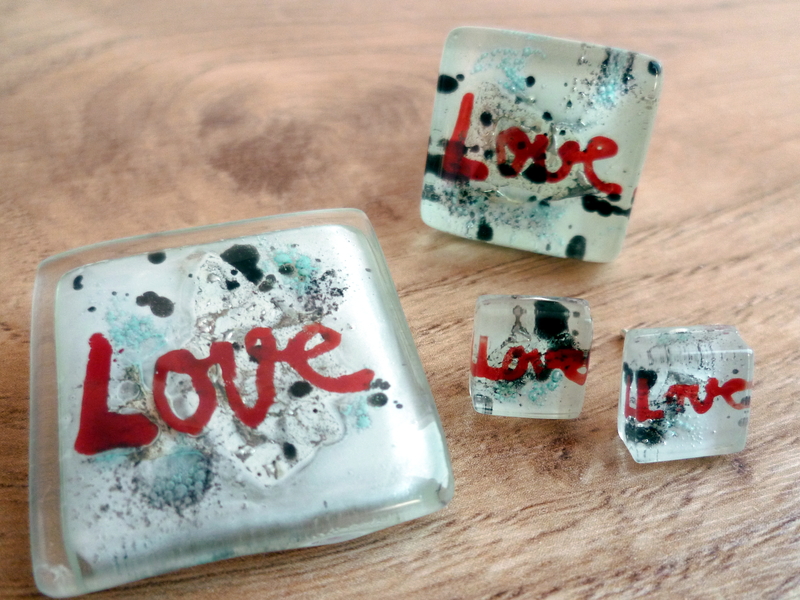 I have used this technique in combination with my fused glass and I’m thrilled with the results. I have learned a lot during these months and it has opened a whole new world to me and my work, letting me experiment with new shapes and materials. Every kiln fire is related to a lot of excitement and worries. 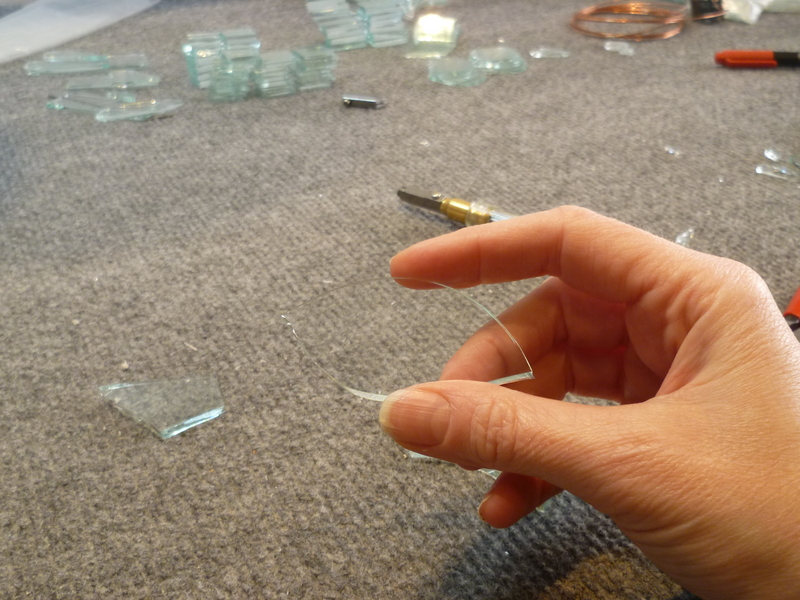 Working with recycled glass makes the risk of failure a bit greater since I do not know the origin of the glass. 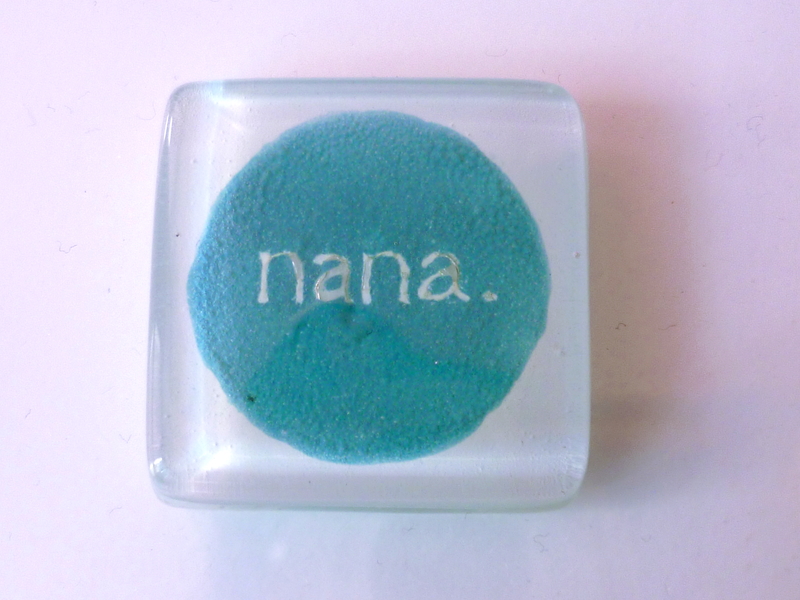 I sometimes experience that some of the glass cabochons are devitrified and often that happens because of the composition of the glass. I have no way to find out before firing so I try not to make too many. I also think the relative air humidity has got something to do. Like when the humidity is high the walls of the kiln and the furnitures get humid. I have found that drying out the air with a dehumidifier some hours before the fire is working quite well. Lately I have started to get some custom order requests, wich is really nice. It’s thrilling and scary at the same time. My fear is mainly about a hypotetical kiln disaster. Luckily I have been able to meet my customer’s needs without any trouble so far. My customers are really the best! 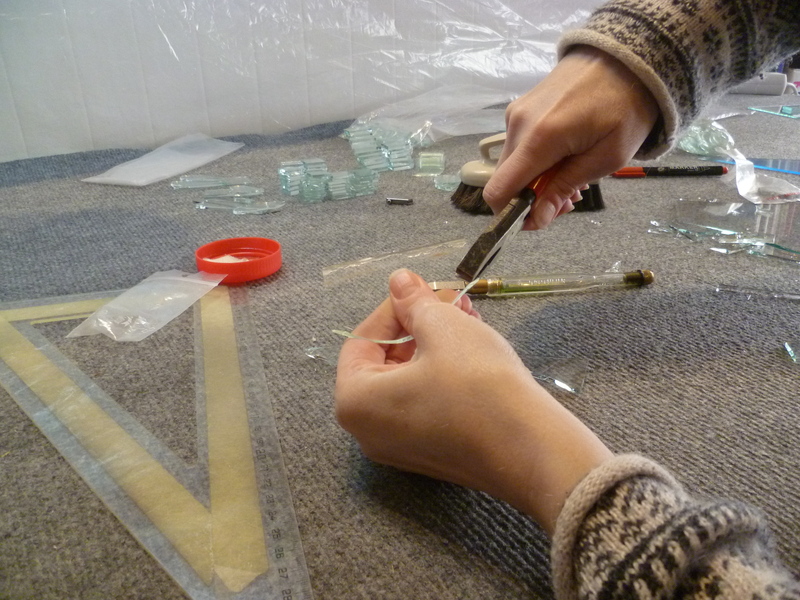 Reproducing the logotype in the glass. 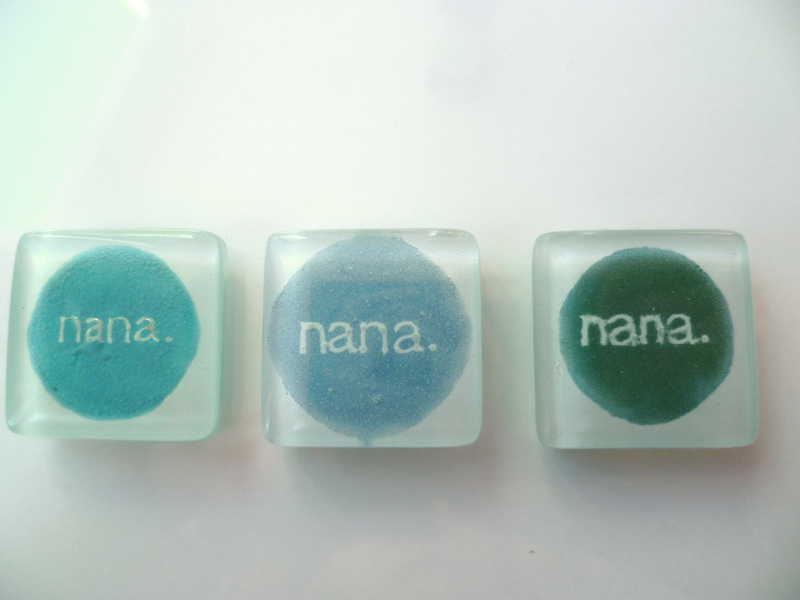 This order was from somebody who wanted a ring with their logotype inside the glass. It was quite a challenge since I don’t work with decals and would do it all by hand. On the other hand I took the challenge since the image wasn’t too intricate and not too many letters. 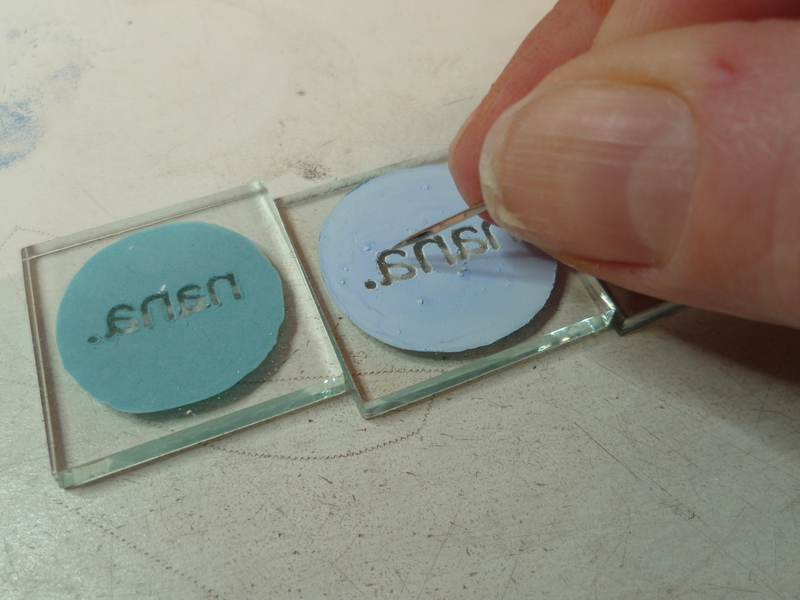 The glass piece meassures 25 mm wich makes the letters so tiny that I had to etch with a needle and use a magnifying glass to be able to see what I was doing. I’m glad they didn’t ask for more than one ring. The three samples before the fire. The client chose this one. This is the ring ready to wear wich will be sent to the customer. Today I want to explain you a new discovery I’ve had (at least it’s new for me). 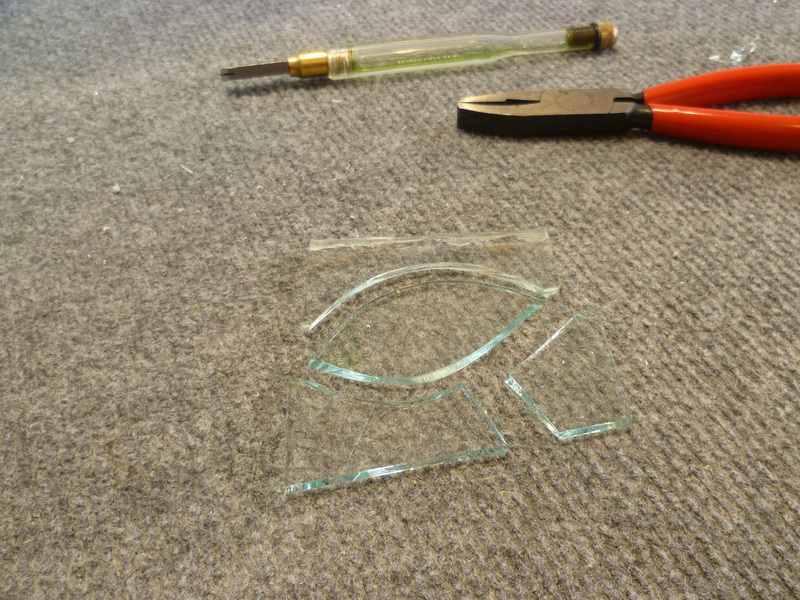 For a long time I’ve been looking for a way to make fine lines on the glass and with a certain level of control. The brush never works out fine enough especially painting the tiny earrings, so I gave that up. 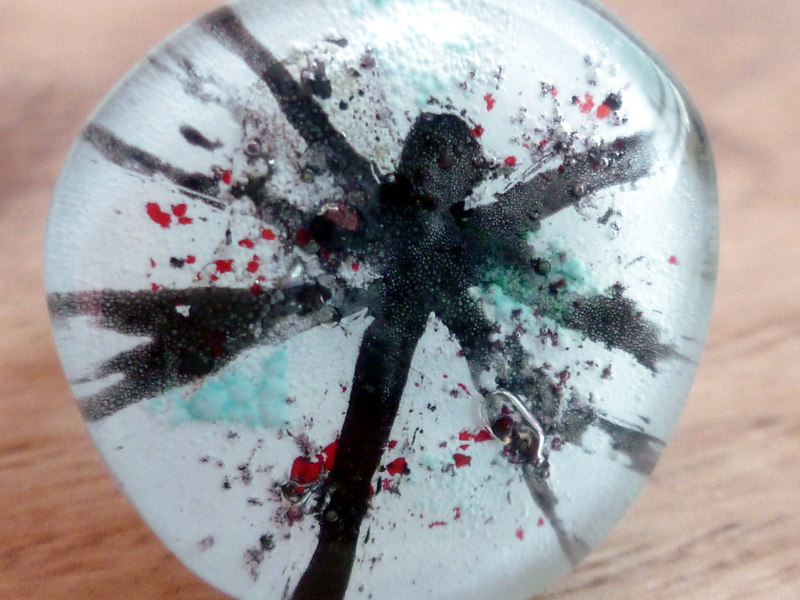 I’ve also tried a special pen for glazes, but the glaze got stuck all the time so neither a good solution. For a long time I’ve had the idea that I would like to try with a good old dip pen, but in fear of wasting more time I didn’t try it yet. But the other day, looking for something else I found one of those nibs and it’s pen holder. So I didn’t have any excuse to not try it anymore. 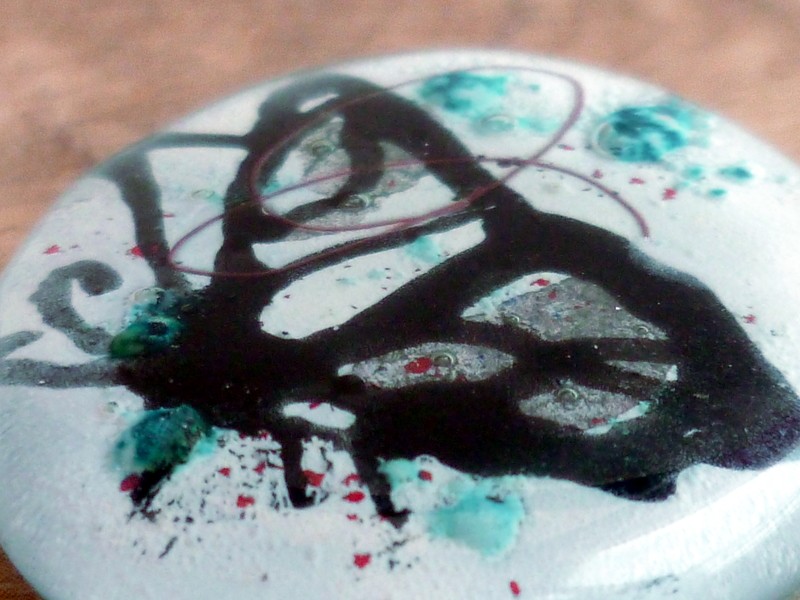 I tried the nib pen with my glazes and it works great! It was such a nice discovery and I thought I would share it with all of you. It gives a very fresh expression. I just love it! …but the sun seems to want to break through. Spring is on it’s way! Today is a good day for cutting some leaves. Do we lose the art when we grow up? When I look at drawings and paintings made by small children, I always get so amazed by the sincerity in these little artworks. In the simplest way children are able to show exactly what they have in their mind. They are the masters of simplification. I admire this ability that seems to be so natural in kids. Did you ever say to your self : “I wish I was a little more creative” or “I don’t have any creativity”? I think many of us have had that thought, and I think it’s a very normal attitude in adults. So what happens to us between that moment of creative joy and this resigned attitude? When we grow, they teach us to draw what we see, but in a realistic way. We learn that the drawing has to look like the reality with its corresponding perspective, light and shadow. So we kind of forget what was the real reason we wanted to draw in the first place. A child can easily get discouraged by constant correction and criticism. The satisfaction of expressing themselves is getting reduced when they are forced to put more focus on the result. 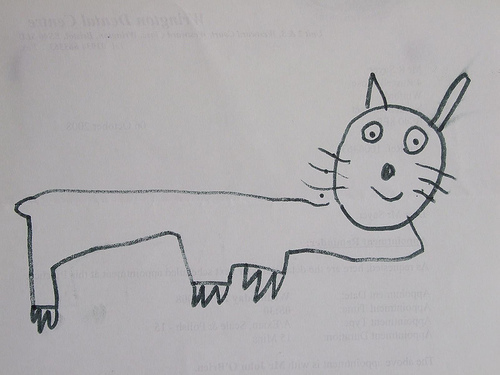 The pressure can get so hard to deal with that the child eventually stop drawing. I believe this is the moment we start to disconnect from our creativity. So maybe the level of creativity in us adults is about our mindset towards our own creativity. I think it’s easier to reach a creative state of mind if we are not afraid to be judged or to fail. If we can free ourselves from the: “What will the others say about this?” we have come a long way ahead. I also think that our creativity is something we have to take care of, we have to keep it alive. I’d like to compare it to a houseplant. If it gets water, light and nutrition it will grow healthy, and sometimes even bloom. What does it take to get our creativity to grow? A creative person has the senses open and is always looking for something inspiring. My experience is also that the more I create the more creative I feel. It’s like one idea leads to another, and the ball starts rolling. But I think the most important is to free ourselves from the fear of failing and just let the ball roll. 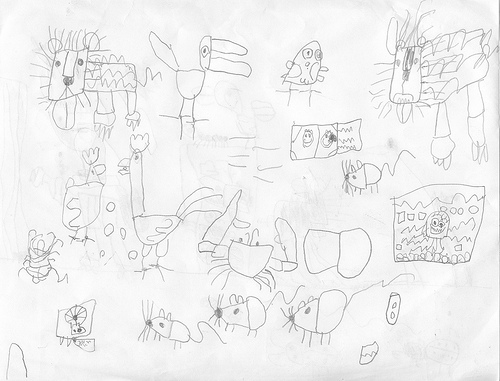 Here are two examples of children’s drawings, that for me are indeed inspiring! They are highly intuitive but yet so descriptive, showing a great ability for observation and focus. A fantastic day together with a fabulous public and so many fantastic crafters. 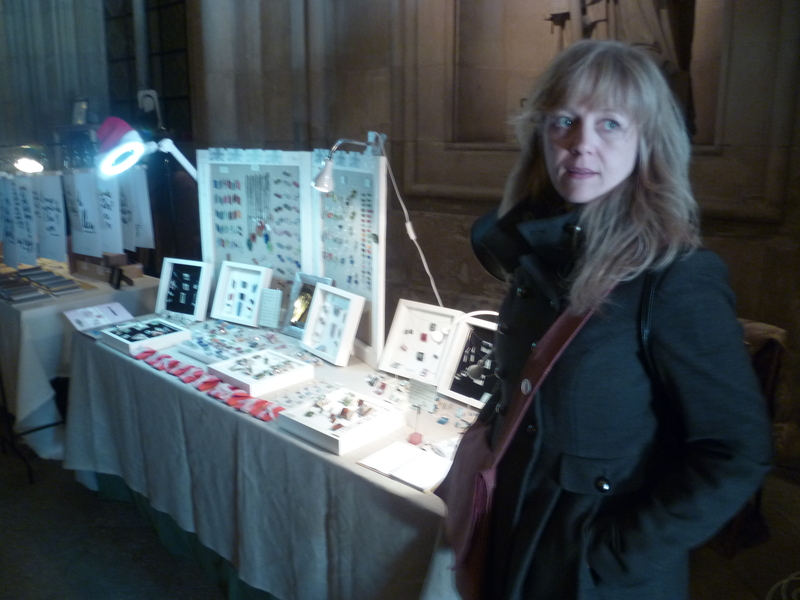 “Fantastic Handmade Market 21st of december 2014. Hope to see you all soon!